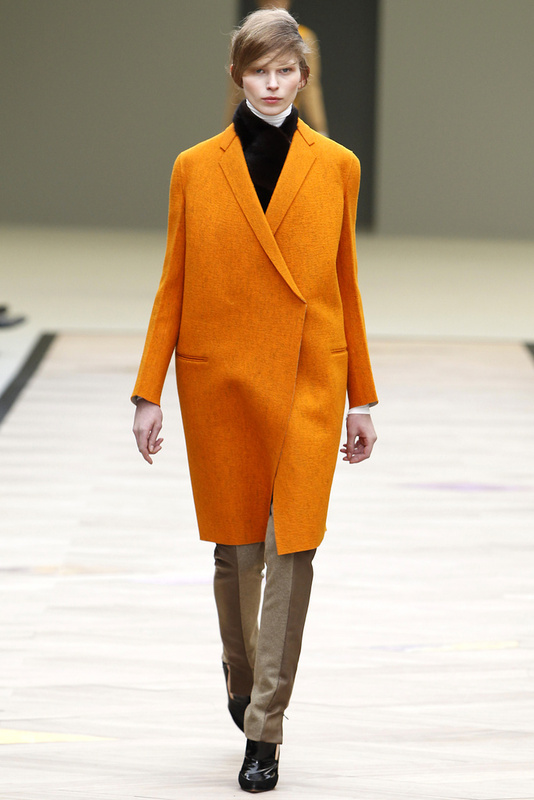 Céline has been one of my favorite designers since my first discovery of this amazing fashion house. So, imagine my delight when I walked into a vintage shop in Paris and found Céline shoes in my size! And on sale! Now, you might think to yourself, shoes? 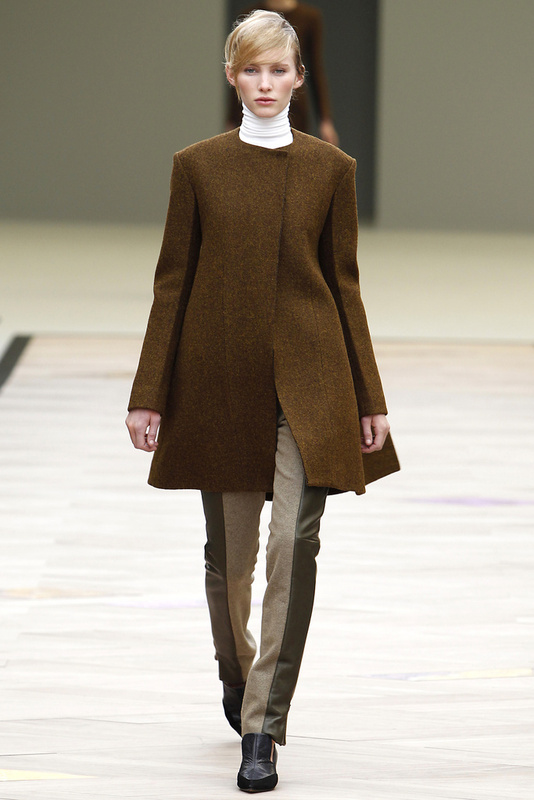 But Céline is known for it’s impeccable cut and flawless structure in womenswear! Weelll, Céline actually started as a children’s shoe house, then expanded into women’s shoes and accessories soon after. So, you see, it all began with what I call my “coincidental happiness” -THE SHOES. Since 2010, Phoebe Philo has been working great magic at the house of Céline as the creative director. This of course, comes as no surprise to me since she was also the one responsible for another one of my favorites, Chloé. 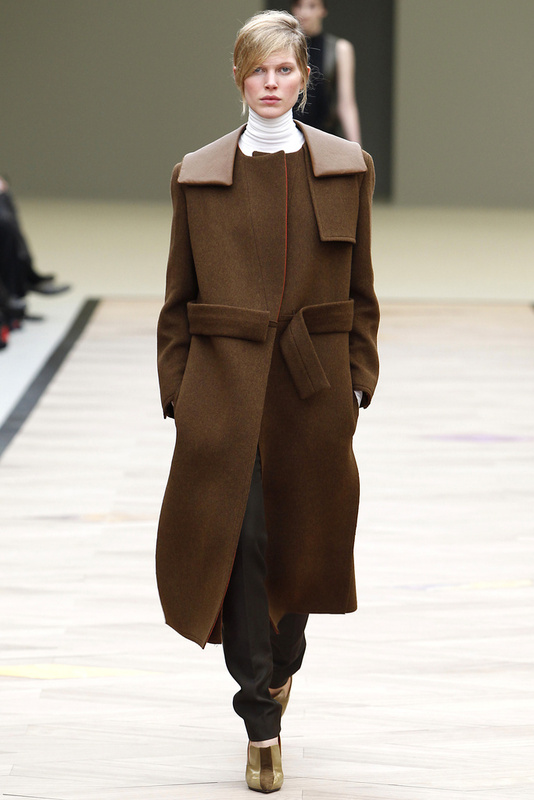 This season, Philo once again takes my breath away with what I can only call perfection, the Fall/Winter 11/12 Céline collection. It is only on rare occasion that I can say I love every piece in a collection, but I might just be ballsy and say this is one of those occasions..Perhaps it has something to do with the reoccurring color brown, which happens to be my favorite. Or perhaps it’s the muted yet intriguing sophistication that draws me in. Either way, I am loving it all. Including my new shoes. That, coincidentally, are also brown. ~ by vilteblogs on July 11, 2011.